In a significant move for both companies Peak Games has sold its mobile card games to Zynga. The $100 million all-cash deal will see the games’ Istanbul development studio added to Zynga’s global locations alongside the likes of London, Brighton, Helsinki and Hyderabad. 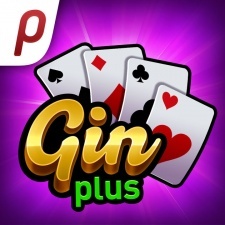 Zynga gains titles, notably Peak’s Plus IP which includes Gin Rummy, Spades and Whist games, as well as games based on local favourite Okey. The move will give Peak Games a massive warchest as it focuses on further building its already very successful Toy Blast and Toon Blast match-3 titles. As for Zynga, combined with the $43 million it spent acquiring the Solitaire mobile game in March 2017, it claims the deal will give it the largest casual card game portfolio in the world and be immediately accretive to earnings. It also expects to develop additional synergies for its existing card games as the fast-growing Turkish mobile audience is already the third largest market for Zynga Poker. The deal is expected to close in late Q4, subject to customary closing conditions.